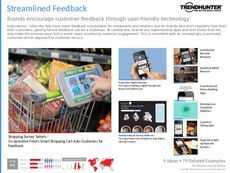 Find Better Ideas, Faster ® with a custom kiosks trend report, our PRO Dashboard and 80+ categories of premium trend reports. 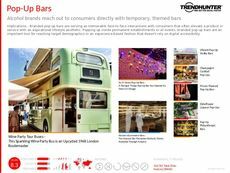 The Kiosks Trend Report will look at how brands are catering to consumers through self-service stands and pop-up booths. 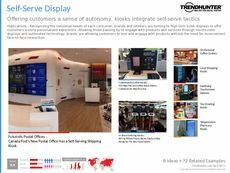 Kiosks are a great way for brands to make a temporary display without spending a ton of money. This report will investigate the best ways that a brand can present its image as a vendor on the street, in a mall or in another location with temporary visitors. 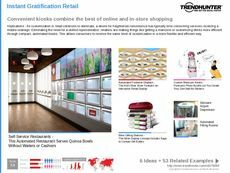 Brand managers will be able to use this report to understand how consumers are interacting with brands through these temporary stands and booths. 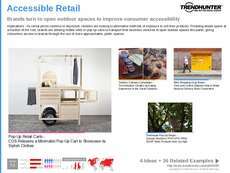 The report will benefit retail managers that oversee the movement of commodities such as mobile devices, food products, clothing -- and essentially any other product that can be carried and easily displayed. 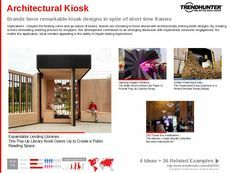 When promoting your brand at an event or a new location, the Kiosks Trend Report will be a vital guide to executing a desired brand image in a compelling and meaningful way.